Of the millions of dust grains Cassini has sampled at Saturn, a few dozen appear to have come from beyond our solar system. Scientists believe these special grains have interstellar origins because they moved much faster and in different directions compared to dusty material native to Saturn. Image credit: NASA/JPL-Caltech. NASA’s Cassini spacecraft has detected the faint but distinct signature of dust coming from beyond our solar system. The research, led by a team of Cassini scientists primarily from Europe, is published this week in the journal Science. Cassini has been in orbit around Saturn since 2004, studying the giant planet, its rings and its moons. 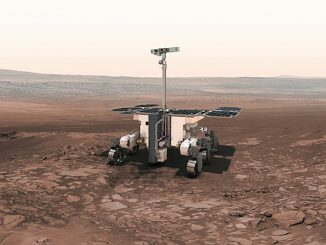 The spacecraft has also sampled millions of ice-rich dust grains with its cosmic dust analyser instrument. The vast majority of the sampled grains originate from active jets that spray from the surface of Saturn’s geologically active moon Enceladus. But among the myriad microscopic grains collected by Cassini, a special few — just 36 grains — stand out from the crowd. Scientists conclude these specks of material came from interstellar space — the space between the stars. Alien dust in the solar system is not unanticipated. In the 1990s, the ESA/NASA Ulysses mission made the first in-situ observations of this material, which were later confirmed by NASA’s Galileo spacecraft. The dust was traced back to the local interstellar cloud: a nearly empty bubble of gas and dust that our solar system is traveling through with a distinct direction and speed. 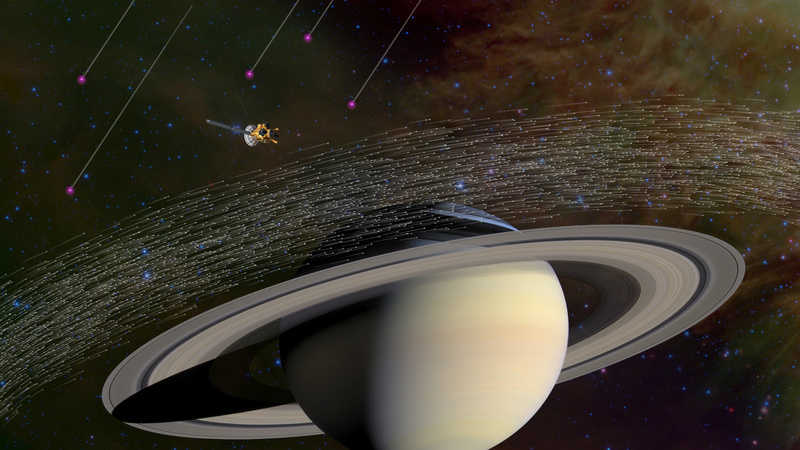 The tiny dust grains were speeding through the Saturn system at over 45,000 mph (72,000 kilometres per hour), fast enough to avoid being trapped inside the solar system by the gravity of the Sun and its planets. “We’re thrilled Cassini could make this detection, given that our instrument was designed primarily to measure dust from within the Saturn system, as well as all the other demands on the spacecraft,” said Marcia Burton, a Cassini fields and particles scientist at NASA’s Jet Propulsion Laboratory in Pasadena, California, and a co-author of the paper. Importantly, unlike Ulysses and Galileo, Cassini was able to analyse the composition of the dust for the first time, showing it to be made of a very specific mixture of minerals, not ice. The grains all had a surprisingly similar chemical make-up, containing major rock-forming elements like magnesium, silicon, iron and calcium in average cosmic proportions. Conversely, more reactive elements like sulfur and carbon were found to be less abundant compared to their average cosmic abundance. “Cosmic dust is produced when stars die, but with the vast range of types of stars in the universe, we naturally expected to encounter a huge range of dust types over the long period of our study,” said Frank Postberg of the University of Heidelberg, a co-author of the paper and co-investigator of Cassini’s dust analyser. Stardust grains are found in some types of meteorites, which have preserved them since the birth of our solar system. They are generally old, pristine and diverse in their composition. But surprisingly, the grains detected by Cassini aren’t like that. They have apparently been made rather uniform through some repetitive processing in the interstellar medium, the researchers said. The authors speculate on how this processing of dust might take place: Dust in a star-forming region could be destroyed and recondense multiple times as shock waves from dying stars passed through, resulting in grains like the ones Cassini observed streaming into our solar system. 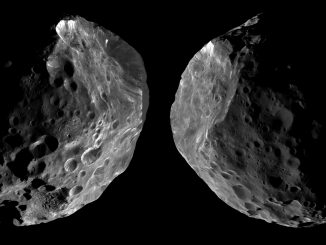 “The long duration of the Cassini mission has enabled us to use it like a micrometeorite observatory, providing us privileged access to the contribution of dust from outside our solar system that could not have been obtained in any other way,” said Altobelli. 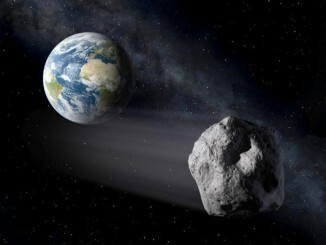 Discovered by the Catalina Sky Survey on 6 October 2013 a week before its last close flyby of Earth, 30-metre-wide asteroid 2013 TX68 was initially thought to pass by Earth again on 5 March 2016. Additional observations of the body have now been obtained, refining its orbital path and moving the date of the asteroid’s close brush with our planet to 8 March.